Jet Pack rentals advertise to make dreams come true by letting you fly in the sky, propelled by a jet pack and unencumbered by parachute or artificial wings. Unfortunately, what many people don’t realize is that falling from the air and landing on water isn’t a soft landing. Worse than that, though, is that hitting the surface at the wrong angle could cause spinal injuries or bone fractures. 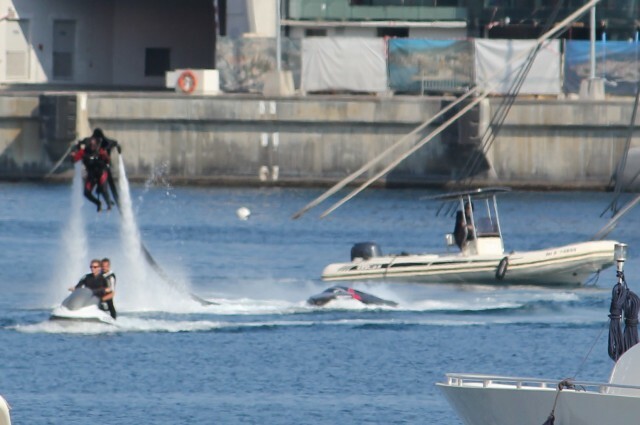 An impact with the jet pack’s control craft is likely to cause lacerations, severe bruising and possibly head trauma. No one under the age of 16 may rent a jet pack vessel. Riders must wear a helmet and a high impact personal flotation device. No rides between sunset and sunrise or when visibility is restricted. An observer must be on a navigable rescue vessel located at least 100 feet but not more than 300 feet away from the rider. If you have suffered an injury while using a Jet Pack, call us now. We can help you.